from permanent loss of hearing. Current or former military personnel who are suffering from hearing loss caused by 3M’s defective earplugs may have claims for compensation against 3M. Under the law, claims of this type must be filed within a certain time period or the claim will be barred by law, so you should not delay in contacting an attorney who has experience handling these types of unique cases. 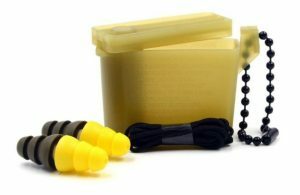 The defective product attorneys at Suthers Law Firm are investigating and pursuing 3M earplug lawsuits on behalf of U.S. soldiers and veterans, who used 3M’s Dual-Ended Combat Arms Earplugs for hearing protection, but still suffered permanent hearing loss. During the 1990s, Suthers Law Firm’s founder, John E. Suthers, successfully represented hundreds of locomotive engineers and trainmen, who had suffered noise-induced hearing loss as a result of their employment with two of the largest railroad companies in the United States. Mr. Suthers is now using his expertise on noise-induced hearing loss to help U.S. soldiers, veterans and other government employees, who have suffered permanent hearing loss while serving our country. If you or someone you know served in the military between 2003-2015, were issued 3M’s earplugs during your service, and have suffered from hearing loss, contact a hearing loss attorney at Suthers Law Firm to learn more about your rights. We pursue these cases on a contingency fee basis, meaning that there is no attorney fee unless a recovery is obtained. For a free consultation about a potential hearing loss lawsuit against 3M, call a hearing loss attorney at Suthers Law Firm toll free at 1-800-320-2384, or go to www.sutherslaw.com and complete the Contact Form.